The Burchfield-Penney Art Center at Buffalo State College has recently been awarded LEED Silver certification by the U.S. Green Building Council (USGBC). It is the first art museum in the State of New York to achieve a LEED (Leadership in Energy and Environmental Design) certification and among only several art museums in the nation that have been LEED certified. 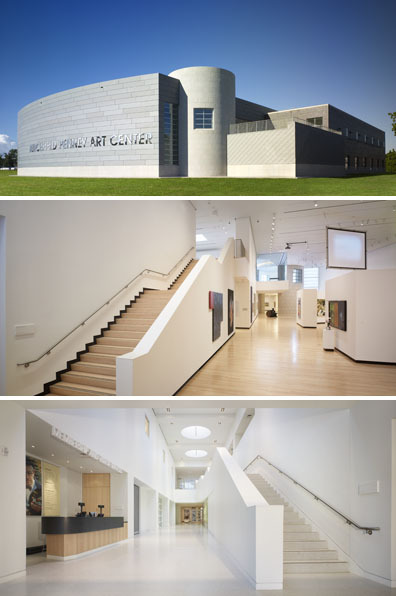 Gwathmey Siegel Kaufman architect Stephen Sudak created an educational brochure for the museum, which explains some of the key LEED credits achieved and relates them to artwork from the collection. He wrote all the text and worked with the museum’s staff to select the images. Steve’s brochure garnered the project a point toward its USGBC certification.